Satellite communications, design and technology specialists, Aetheric Engineering are an independent telecommunications consultancy, established in 1989. Aetheric Engineering offer and are renowned for their flexibility and tailoring of support to the actual needs of each of our clients. 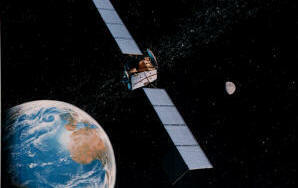 We have worked with leading satellite operators and with manufacturers, ensuring we maintain our expertise and experience with leading edge technologies. We offer advice and support throughout all project phases from feasibility and design studies, through procurement and project management, to installation, commissioning and operation of telecommunications networks, especially satellite communication systems. Our support is available for both civilian and military systems. All our consultants have many years relevant experience and are accustomed to working at all levels of organisations. We have supported clients in Europe, Africa, Asia and North America. We offer impartial, effective and motivated support to all our clients.